Yesterday whilst being taken to town I noticed a new cake shop had popped up. Makes a change since pretty much everything is closing or already shut. I decided to nip in and get a couple as it was pay day and my Mum made me. 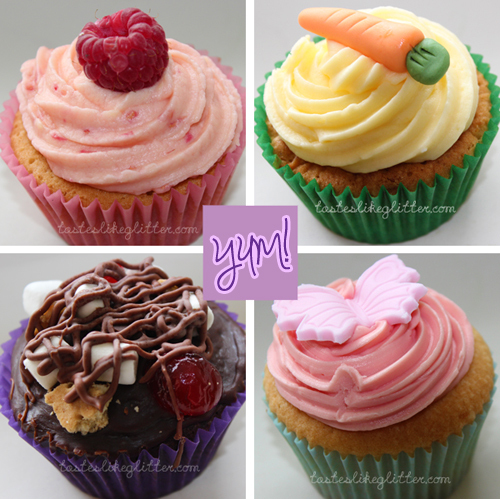 Devon Delights mainly specialise in celebration cakes but they have some in store cupcakes. For £1.10 each they're a really good price and they're honestly the best cupcakes I've ever had. Raspberry and white chocolate - best thing that's ever been in my mouth, seriously. I can't even. Vanilla - I much prefer the raspberry but it's still good. Definitely worth visiting if you're in the area.